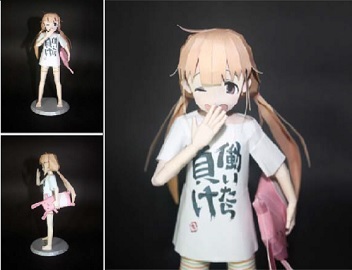 Anzu Futaba (双葉杏) is an idol available in THE iDOLM@STER: Cinderella Girls. She is voiced by Hiromi Igarashi . While she is currently working at an unnamed talent agency in Cinderella Girls and SHINY FESTA, she is affiliated with 346 Production in Gravure For You! and the anime. This entry was posted in Anime Girls on 18/11/2015 by ToyXD.